QuarterPound Studios is a new gaming company located in Florida, US, where Mike Ngo and his son, Michael, teamed up to create video games as a hobby in their spare time. 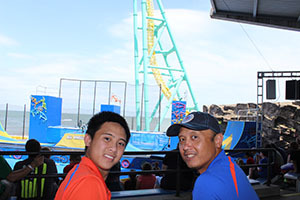 Their other favorite hobby is visiting great roller coaster theme parks. QuarterPound Studios promises to bring unique new game ideas to the players. We bring passion and enthusiasm to every project. Take a look at our games and experience the fun.